A few months back I photographed Executive Chef Ted Hughes from Washington Golf and Country Club, for a small advertising campaign on behalf of Brand Synchrony. 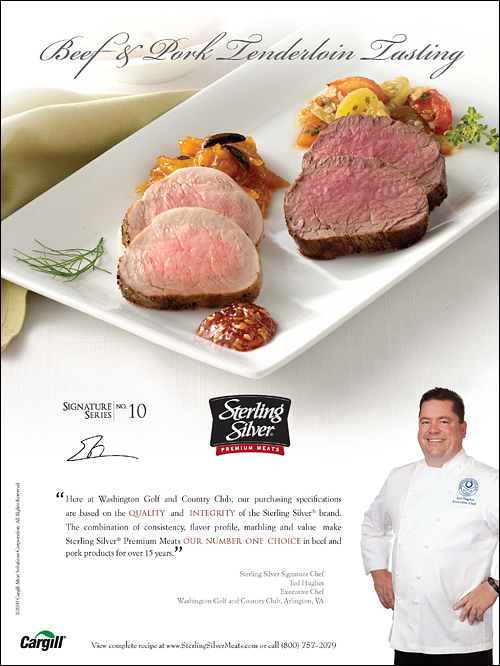 Now, the whole ad is not my work but the portrait of Chef Hughes is. Your first tear sheet has to come from somewhere and here is mine!